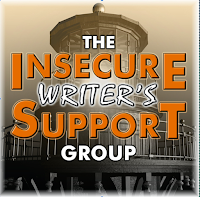 Insecure Writers Support Group, founded by the one and only, Alex J. Cavanaugh. If you're a writer, insecure, or just supportive of writers—insecure or not—please join us. It happens the first Wednesday of each month. Mary Aalgaard, Bish Denham,Jennifer Hawes, Diane Burton, and Gwen Gardner! IWSG Day Question: How do you celebrate when you achieve a writing goal / finish a story? Or a nice glass of red wine with cheeze. Mmmm! Or an ice cold beer with maybe pizza. Yum! How many calories in the Kahlua? So, how many frickin calories would that be? Too many calories and carbs! So what in the hell can I slurp to celebrate? Coffee gives me that just needed pick-me-up. Got a favorite drink or brew?